Health and medical support forms one of the primary, most important elements for assisting communities facing disaster. 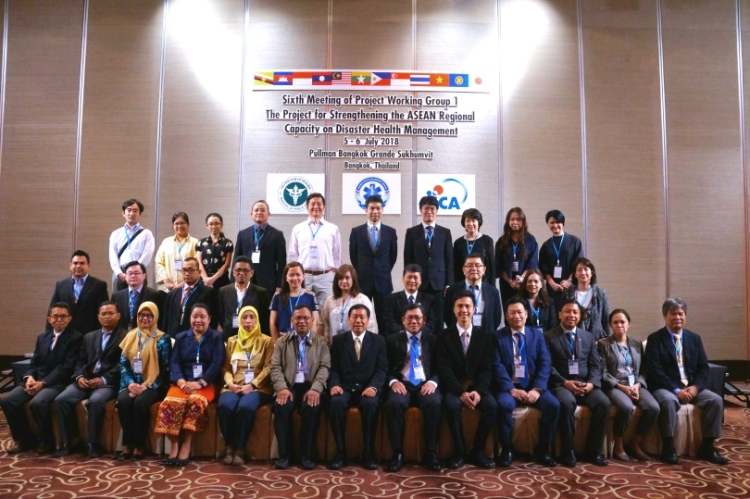 The ASEAN Regional Capacity on Disaster Health Management (ARCH) project, being implemented from 2016 to 2019, forms a cornerstone of the region’s efforts to engage health services with maximal impact in the disaster management field. 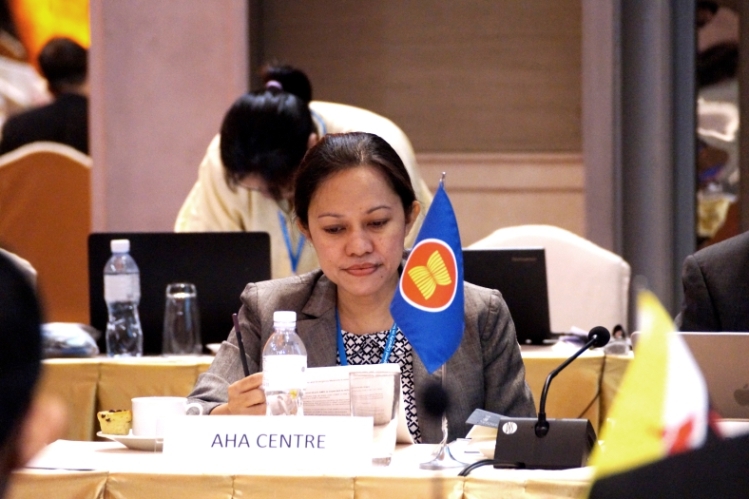 As part of this project, the AHA Centre engaged in the Third ASEAN Member States (AMS) Training on Disaster Health Management, which took place in Bangkok from the 28th to the 31st of May 2018. The key focus of this strategic training was to learn about, and develop integrated processes for working with International-Emergency Management Teams (I-EMT), who form a primary source of experience and skill in medical responses to disaster situations. This focus included learning about the processes and effort required in receiving and deploying I-EMTs, understanding I-EMT core requirements before, during and after deployment, as well as understanding the role of the recipient country within coordinating I-EMT deployments. To set about achieving the workshop’s aims, the AMS training delved into information regarding EMT minimum standards, including the ARCH project’s role in helping achieve such standards, as well as how achieving such standards could be undertaken within the ASEAN context. Much discussion was also afforded to identifying challenges to achieving standards – such as customs compliance, waste management, safety and security, and insurance – and highlighting opportunities to overcome such challenges that would result in more efficient and fluent engagement of I-EMT support at times of disaster. The training highlighted that these key challenges formed the primary obstacle for better engagement of I-EMT within ASEAN disaster response efforts, and that such obstacles could be overcome at a regional level – with the support of the ARCH project. The ARCH project itself aims to develop Standard Operating Procedures for deployment of EMTs within the region, alongside an EMT database, both of which would serve to support the standardisation and management of I-EMTs operating within the ASEAN context. The training also identified the development of pre-agreements between ASEAN Member States regarding such elements as importing dangerous goods and controlled substances, which would be advantageous within the engagement of I-EMTs during disaster response.